For November & December we’re offering Quickbooks Online Free to all new subscribers that sign up as either current or new clients. 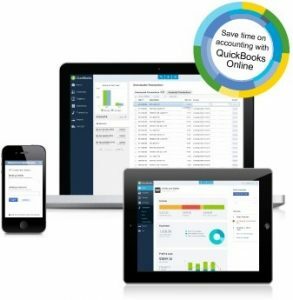 QuickBooks Online offers an integrated payroll solution from Keypay with its simple and easy to use bookkeeping software. Best of all, for small businesses with under 10 employees; there is no additional cost to you or your business to include payroll in your Bookkeeping solution. QuickBooks Online along with KeyPay includes “advanced” payroll features which makes the payroll component of QucikBooks Online the most compliant and fully featured payroll service in the Australian market. These enhancements allow business owners and professional services businesses to deliver truly compliant payroll to their employees. It includes proper timesheets, a pay conditions engine with pre-configured modern awards costed employee scheduling (rostering) and most recently, web based Time & Attendance module. Try out the new QuickBooks Online Payroll features today and compare them to your current system for free with Business Edge Accountants. Configurable pay schedules and employee details such as pay rates, super rates and leave accrual rates make it easy to match your payroll to your business operations. Simplify your payroll with automated super payments, pay slip notifications, and termination and leave calculations. Plus tax tables are updated automatically every year. Add timesheets directly in to your payrun. No more chasing down staff or calculating hours…employees record their hours and managers approve their timesheets with a single click! All this is done inside QuickBook Online, no additional software or add ons to install or different passwords to remember. Pay your employees weekly, monthly, fortnightly or any combination of the three. There are no limits on the number of pay schedules you can create so you can easily have multiple pay schedules to suit the way you pay your staff. Reduce manual processing by generating ATO compliant reports from within QuickBooks Payroll which can be submitted directly to the ATO via the ECI interface. Employees can be notified when they have been paid via SMS or email and can even have their payslips emailed to them each pay making it simple and easy.